Exhibit A. (See previous post about Audrey Hepburn) This was a challenge for sure. 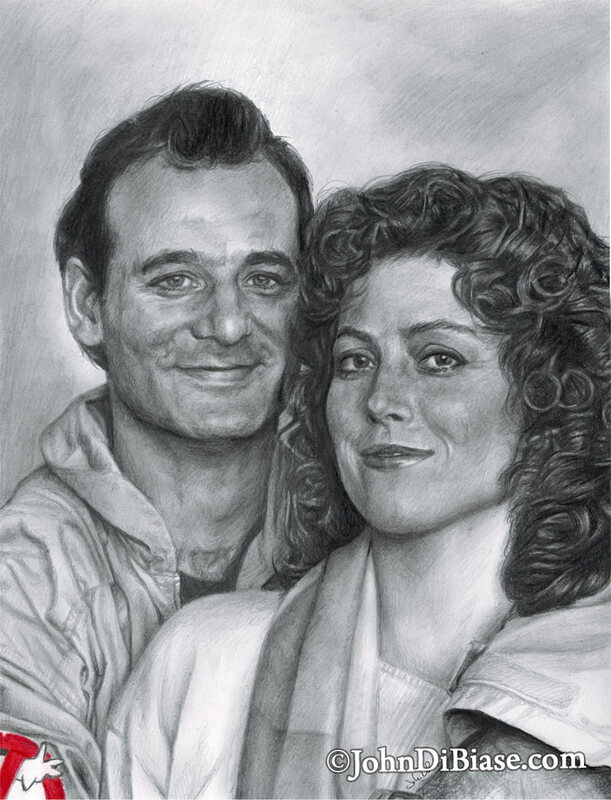 I really enjoy doing Ghostbusters themed pieces and I was surprised, while looking for inspiring images online, to have never seen the source photo for this drawing before. I found it especially challenging–since I draw entirely freehand–to get enough of them to fit in the 9×12 space and still get some of his logo patch (to do with colored pencil) and then get their likenesses just right. It’s kind of a good example of how I don’t really enjoy drawing pictures with more than one person in them.